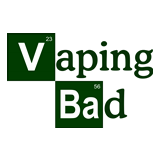 VapingBad had the most liked content! I realise English is not your first language, but neither are functions, Charging is a field (read-only data) and Charge is a setting (read and write data, a setting not a measurement) I have not investigated Charge, you could add it to a theme and see if you can match what it is/does in EScribe. Switching from 4 cell to 3 cell? Not tried it, but I think you guess correctly. As I understand it this setting is mainly for charging and battery protection and the device will always use all cells in series. If you are charging externally you could set the battery type to power supply but you would lose low battery protection. 3 cells sounds like the best way IMO, I think it would still individually monitor each of the 3 cells for low voltage, again if you are not going to charge 4 cells in the mod. Disclaimer: I have not tried these so only do so at your own risk and if you understand what you are doing. With Replay, is there still any need for TC mode? It is fair to say replay replaces temp control, it is built on top of Evolv's temp control tech and couldn't work without it. A bit like some cars having computerised driving aids replay would be like the manufactures preset that works for most folks, but having all the fine adjustments with TC is more akin to a track car and can provide greater control and performance when desired. You can't on the device, but you could make profiles with different settings for these values so you can change them when you're out and about. The results look good, I wonder why you used that profile, if I recall correctly it was just for some untypical stainless steel in the early days and most wire is better with the stock profile. It is probably the battery or a connection issue between the battery and board, I seem to remember on some of these there was a screw near the battery cap that came loose and caused issues there is a thread on here somewhere about that, sorry don't have the device or time to search right now. It should be fine at those resistances, I would check you are not getting too much voltage drop on the battery or ground connections - IE good solid and tight connections, hard to be more specific online. Replay does override the max temp setting, but I think the case that has not been mentioned is using a temp limited puff as your seed puff. This is a bit of an edge case and most of the time if you have temp control working well I would stick with that, but adding replay can help with set ups with less stable resistance. Using all SS316 would probably be best, any temp sensing wire, but not mixing metals will give you the best results. I had it with fixed battery when connecting the screen after connecting the battery, disconnecting the battery and reconnecting solved it. You will need the international version, enable manufacture UI setting in EScribe then you will be able to access the max power setting.